Advanced, broad-spectrum nutritional formula providing comprehensive support for seasonal environmental challenges. Do you sniffle, sneeze and get clogged up whenever the seasons change? Lots of people do. Many have allergies that range from mild to severe. Some of the major contributors (allergens) are animal dander, dust mites, molds, and pollen. 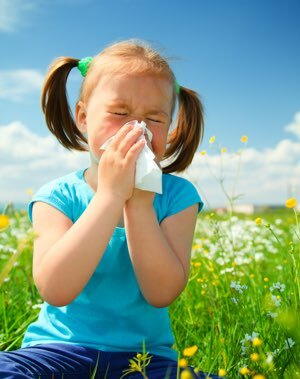 In the Spring we tend to experience the most from Seasonal Allergies. Trees bloom, pollen and other airborne allergens and virals get airborne... Let the sniffling and sneezing begin! Regardless of the source or time, NuMedica Seasonal Shield provides an advanced, broad-spectrum nutritional formula that has comprehensive support for seasonal environmental changes that may help alleviate or mitigate your symptoms. It supports your body's immune response so that you can fell better. 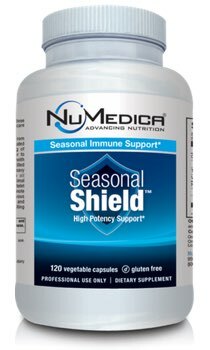 NuMedica Seasonal Shield provides 200 mg of Vitamin C per serving. NuMedica Seasonal Shield provides 1,000 IU of Vitamin D per serving. 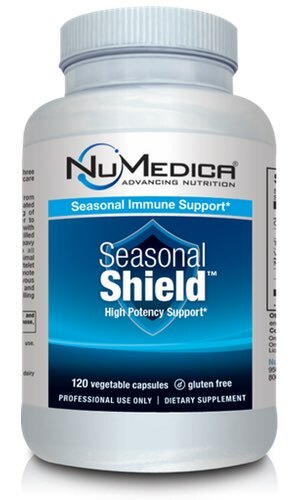 NuMedica Seasonal Shield provides 25 mg of Zinc per serving. As you can see, these vitamins and trace element provided in NuMedica Seasonal Shield all help support the immune system, which is the key to overcoming seasonal environmental changes. NuMedica Seasonal Shield includes other ingredients that help promote healthy mucus viscosity and provide histamine support including: Quercetin, Bromelain and Nettle Extract. It also includes N-Acetyl Cysteine (NAC) which helps eliminate free radicals. Seasonal Shield - 120c 4 Capsules 30 Take four capsules daily or as directed by your healthcare practitioner.